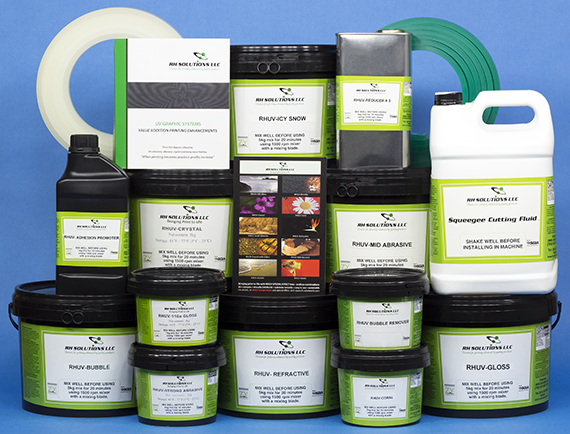 RHUV Special Effect Inks are UV curable coatings (finishes) that provide thick film deposit (3D) and unusual texture effects, transforming ordinary printed products into visually enhanced products offering more impact, marketability, and overall profitability than ordinary inks alone. Twenty value-added finishes are flexible and can be applied with a single pass or multiple applications in the areas you select. You decide how much you want your product to stand out from the competition. Get noticed and start winning more business today.